Spice mobile has introduced the latest handset,the Spice Mi 492 Stellar Virtuoso Pro+. It comes with 4.5inch (854×480 pixels) capacitive touch screen display,powered by 1.3GHZ Dual core processor paired with 512MB of RAM. The company has launched several android smartphones at budget with sturdy specs. It seems that company is trying to make its base more strong by launching budget smartphone. The mobile phone from the company are reliable and durable compare to others. The specifications and features of the handset are fair considering the price tag. It would Compete with Spice Mi-436, Micromax A74 and Gionee Pioneer P2. Check out recently launched OPPO N1 with rotating 13MP camera and rear touch panel. It is 10mm thick and comes in Black + Silver and White + silver colors. It Packs with 5 autofocus megapixel rear camera with LED flash and 1.3-megapixel front facing camera. It has 4GB ROM (internal memory), 2GB stoarge on Spice cloud and 32GB expandable memory via microSD card SLOT. It features 3G, WIFI, Bluetooth v4.0 , GPS / A-GPS and micro USB port connectivity. 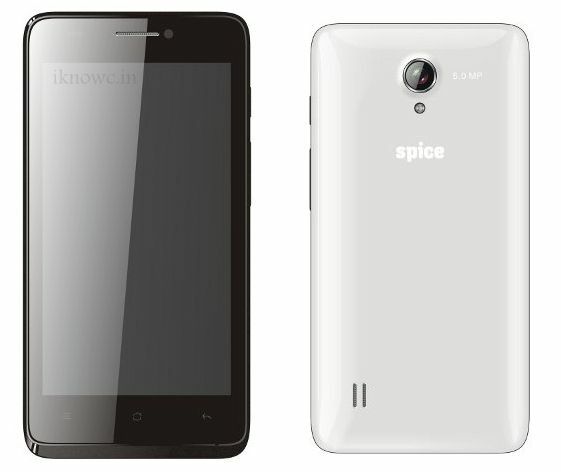 The SPICE MI-492 support Dual SIM (3G+3G) with dual Standby. The Mi-492 Virtuoso Pro+ runs on Android v4.2 Jelly Bean OS and come with pre-installed antivirus app . The phone houses 1720mAh battery to power the mobile phone. The Virtuoso Pro-plus MI 492 is priced at RS 7499.